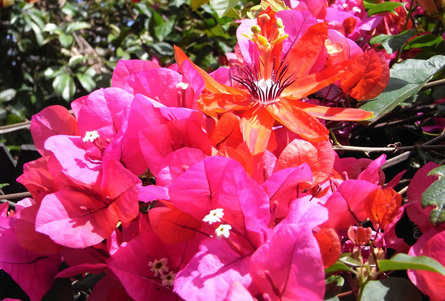 The flexibility of climbing plants gives them many uses in the garden. Climbing plants can hide unsightly parts of the garden quickly. Vigorous and fast growing, they respond well to pruning and training and allow the gardener to control their shape, size and direction. Many "left without any support" can be used to sprawl horizontally as a groundcover or to spill over the top of a wall. Against a vertical plane or trellis, climbers can be either a backdrop or an ornamental display - especially where ground space is limited. In their upward search for light, the foliage can become top-heavy and the lower structure bare if left without early and continued training and pruning. But guided upwards, larger climbers can provide a canopy over a pergola. 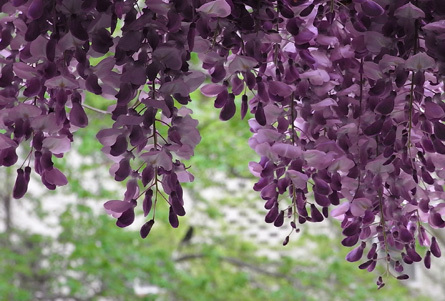 Overhead structures particularly suit climbers with hanging flowers or fruit to look up at. 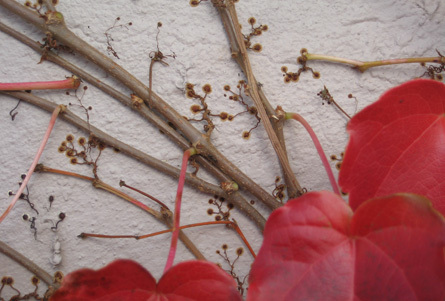 Deciduous climbers offer seasonal sun and shade, perhaps autumn colour and sculptural bare stems. Evergreen climbers provide effective privacy screens. Without stems strong enough to hold themselves up, their method of climbing determines the type of support required. 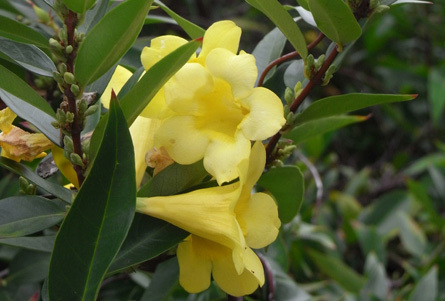 Climbers with twining stems or leaves and those with tendrils are both suited to winding around wires, trellises or other plants. Their own stems can quickly get tangled. Scrambling climbers hoist themselves up with hooks and long stems that are less pliable and need a trellis with a larger gauge or tying to their support. Self-attaching climbers use clinging adventitious roots or adhesive pads on tendrils to fix themselves to solid surfaces. This is just a juvenile stage in some that "if left unpruned" will grow away from their support in a woody adult stage. Without discipline climbers can take root and multiply where they're not welcome or smother other plants. Some training and maintenance will always be necessary but use the Plant This Plant Selector and carefully choose a climbing plant to match your garden needs. Feed the soil and you will never have to feed your plants.